Patriarch Kirill called on the Moldovan people to keep their spiritual sovereignty in front of the economic and political challenges. The Russian Orthodox Church Primate came to Chisinau with a visit. His trip is dedicated to 200-year anniversary of the establishment of the Chisinau-Moldova eparchy. Believers and clergy have much hope for the upcoming Patriarch’s visit. The Chisinau eparchy as part o the Russian Orthodox Church was founded in 1813 on the territory of Bessarabia passed to Russia. It marked the beginning of the age of enlightenment in Moldova and to a great extent determined the future of the country, Patriarch Kirill underlined. “The establishment of the Chisinau eparchy sprang from a great desire of the Moldovan people to be united with peoples of the Rus. And thanks to religious beliefs of the Moldovan people we have an independent country and developed national culture today. We have society which keeps its integrity despite of political plurality and many other factors dividing today’s society not only in Moldova but in any other country on earth,” he said. Now more than 90 percent of believers relate themselves to the Moldova Orthodox Church. There are more than 1,300 active churches and 48 monasteries in the republic. Nevertheless, the religious life is endangered at the moment as it’s being pressured by secular politicians, reckoning there is no place for the religion in the modern world any more, and by the Romanian Patriarchate which has been claiming the canonical territory of the Russian Orthodox Church and in whose spiritual jurisdiction Moldova was until the 19th century. Apart from communicating with his flock, Patriarch Kirill will have to resolve a series of problems existing today inside the Moldovan Church itself, Viktor Zhosu, a political scientist, says. “As a matter of fact, an order should be established inside the Moldovan Church. Too many problems have accumulated there over the last years. For example, the practice of marrying couples in monasteries has been applied which I didn’t see in Russia. It’s absolutely unacceptable. These problems have to be tackled with,” he added. 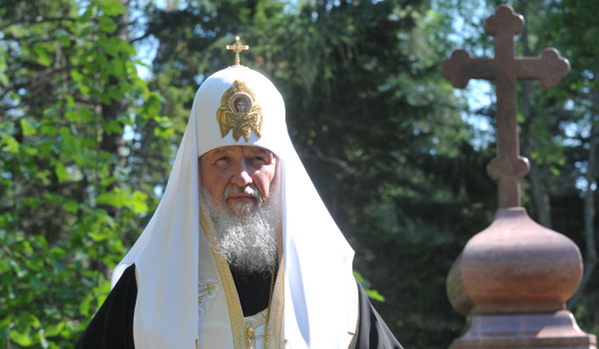 Right after the visit to Chisinau, the Russian Orthodox Church Patriarch will go to Pridnestrovye until September 9.